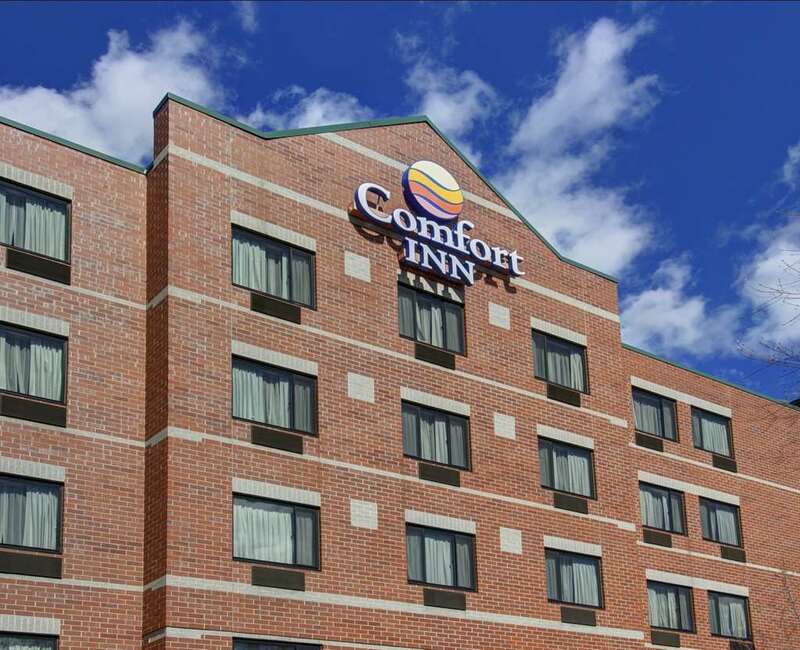 The Comfort Inn in Woburn, MA is located near the Freedom Trail in Boston, MA. Nearby attractions include Burlington Mall, Woburn Mall, Stoneham Zoo and Boston Convention and Exhibition Center. Boston Logan Airport and Winchester Hospital are also close. Take advantage of amenities like free hot breakfast, free WiFi, free parking during your stay, 24-hour fitness center and 24-hour guest laundry services. Rooms include HDTV, refrigerator, microwave, coffee maker, hair dryer, iron and ironing board. Also, earn rewards including free nights and gift cards with our Choice Privileges Rewards program. The charge for this shuttle is 12.00 USD one way, and 22.00 USD roundtrip. Public bus stop adjacent to property that goes into Boston (weekdays only). 100 percent Non smoking hotel. 150.00 USD cleaning fee for smoking in rooms. Credit card required at check-in or 150.00 USD deposit for cash paying guests. Entire property is newly renovated in 2012. Must have a guest 21 years or older in each room.